With the latest advertising trends of allbranded present your company at the latest state-of-the-time and leave the competition from a marketing point of view far behind. Please visit our online shop and find the perfect gift for your advertising campaign. We carry popular classics such as sunglasses, Shirts, Buttons, pens and cups, but also trendy Products such as ventilators, bottle carriers, iphone-foils and much more. How would it be with a real popcorn wagon or a table football as a special highlight of your trade fair stand? All promotional gifts can be individually designed with your logo or any slogan. 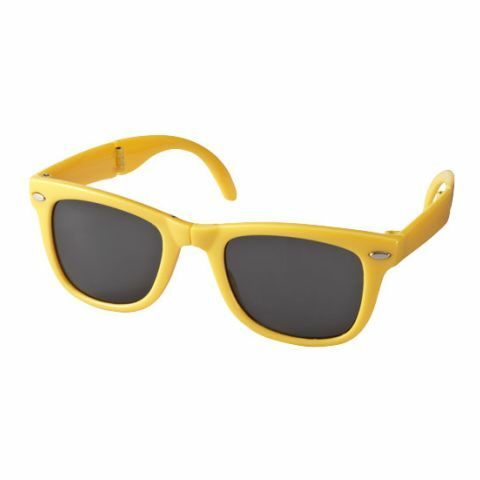 Impress your customers and business partners with the innovative advertising gifts from allbranded.de. with the current advertising trends from the allbranded Online Shop set ingenuity and modernity under evidence. The original strewing article are perfectly suited for the communication of your personal message and convince customers, employees and business partners with a helpful value. Professionalize your campaign with innovative giveaways and order today your personalized promotional products. the advertising industry is extremely fast and provides your target group again and again new incentives. Anyone who is not on the latest state-of-the-time presented, loses its reputation and the interest of the customers. allbranded.de provides a comprehensive portfolio of classic advertising gifts and the latest trends in the industry for a contemporary merchandising. Our promotional products convince through innovation and originality and offer to your target group with a long-term benefits that your company is in the focus of attention moves. You leave the competition behind with the latest advertising trends of allbranded. showcase your company family friendly, modern and up to date through the targeted use of current advertising trends. The allbranded Online Shop is a competent partner for advanced marketing and offers the latest innovations in the industry at fair prices. Our experts are happy to advise you with the selection of the most appropriate advertising article for your campaign. With practical iPhone-Folien, buttons and printable shirts you reach especially the young generation within your customer base. Who does not like to stylish badges as trademarks statement? The next open-air festival or a trendy direct opening are ideally suited to your customers with cooling fans and drinks holders to pamper you. With candy dispensers and handcart arouse the interest of children and parents alike. Whether open air, large event or weekly market, the easy-to-transport giveaways are available on each event and will gladly seen with joy frequented. Printed with your message can reach our advertising article a large advertising effect and call your company also in the everyday life of your customers in positive memory. with the current advertising allbranded trends from the online shop is the attention of your target group of course. Promotional products to your customers and business partners not only entertaining fun, but offer a true added value, raise your campaign from the ground, and enable a long-term customer loyalty. All products can be used with little effort be printed according to your wishes, our high quality demands create products at fair prices. The delivery of your success article is reliably to your desired address.